It is highly important that our students begin to make career connections early in their education. By being informed on the multitude of careers and exposed to various real-life problems, students will be better equipped to make decisions and develop their own success plan. Therefore, this page has been developed to arm both students, parents, and our teachers with the tools necessary to help them through what can otherwise be an overwhelming task. Get started below by exploring the resources provided! Note: Each image is a hyperlink to that site. Simply click on the image to open it in a new tab. Career Builder's Site Find Your Calling is an easy way to start looking at career options based off of a few simple questions. Naviance College and Career Readiness Platform from Naviance on Vimeo. Naviance is a comprehensive college and career readiness solution for middle and high schools that helps align student strengths and interests to post-secondary goals, and improve student outcomes. 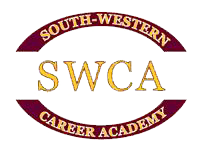 Through the South-Western City Schools, every student has an account whereby they can upload their resumes, recommendation letters, schedule college visitations, and complete various career exploration activities. The school Guidance Counselors will assist students in navigating this valuable tool to help align students with their career goals. The Ohio Means Jobs website is a great resource for students to begin to develop their career plan. With Ohio Means Jobs, students can create a personal profile, take an interest survey that will match careers with their interest, develop a career plan, search in demand careers, determine the skills necessary for success and colleges that can deliver these skills, find job postings, and take practice assessments such as the SAT or ACT. Ohio Means Jobs is a great online counseling tool for both parents and students to use in planning for a career. Check out the video and good luck! LinkedIn can be a great tool for junior and senior students to begin building their profile and adding to their network. LinkedIn is a social media site for professionals to become connected with others in the area of their focused career interests. When a profile for LinkedIn has been completed, it essentially acts as an online resume used to promote one's skills, experience, aspirations, and much more. LinkedIn allows employers to search for potential employees and allows individuals to search for jobs, follow companies, and join groups. Check out the video to learn more about how LinkedIn can benefit you! Click on your respective tab below for additional information. This tab provides students access to a wealth of information for developing their career success plan. This tab provides parents with the information needed to help their child create a successful career plan. Note: This tab provides a multitude of resources teachers can use when developing career aligned lessons. CTE Online is a great source of projects and lessons for both academic and career technical teachers. This site contains multiple career-related activities and lessons. CTE Online is a grea resource to find lessons and activies. The above link is a great site to find lessons covering a nice range of topics. Some of the lessons/tutorials are interactive, while others provide printable lesson materials. Find multiple scholarships to apply to and up your chances at getting your schooling paid for! Prepfactory is a great place for students to find help in preparing for the SAT or the ACT--and it's free! Give it a try! Kids.gov offers more ways to discover and explore careers. Click the above link to access and begin filling out your Free Application for Federal Student Aid. Search for scholarships, internships, colleges and more by clicking the image above. ProfessorWord is a free browser tool that helps you learn SAT, ACT, and GRE words on any site with just a simple click. This link is a resourceful guide to applying for college scholarships. Check it out!